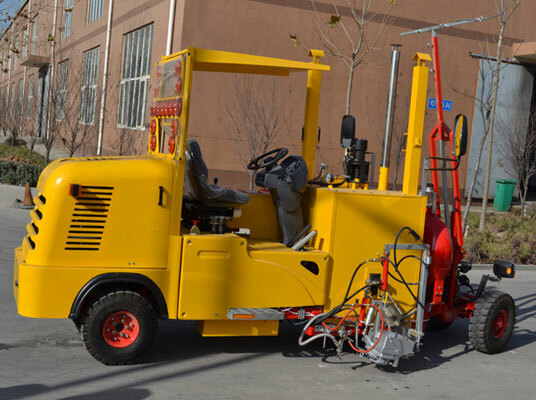 DY-MTSC-I/II middle driving-type thermoplastic screeding road marking machine is suitable for marking highway, urban road and local road with large construction square. 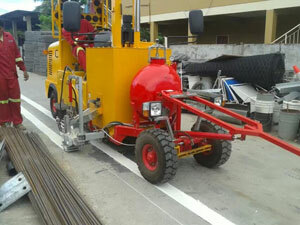 Type I: pneumatic screeding flat line marking shoe. 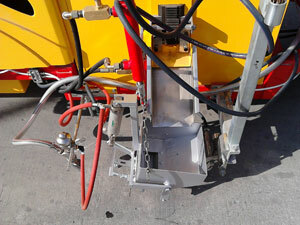 Type II: pneumatic screeding flat or convex line marking shoe. 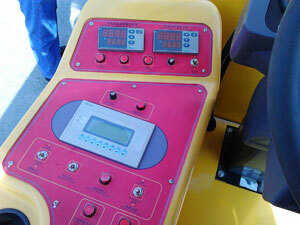 Advanced hydraulic drive with infinitely variable speed control system, control and adjust speed more accurately. Larger capacity pressurized paint tank and glass bead bin, keep the continuity of long-distance marking job. Screeding structure makes the markings more straight and beautiful. All directions warning system, ensures more safe during construction.